When the first food bank was created in Canada in 1981 in Edmonton, it was seen as a short-term project that would be unnecessary when the economy improved. Fast-forward to 2017 and Kitchener’s House of Friendship’s emergency food program that distributes food to 1 in 20 people living in Waterloo Region. Previously in a cramped, former print shop, House of Friendship rebuilt the centre into a welcoming place for both volunteers and clients, at a cost of $750,000. Large windows let natural light into the indoor waiting room. In the back, where the volunteers fill boxes with food, wide aisles between the shelves and open areas to manoeuvre with a lift truck make picking the food much more efficient. And no more moving boxes to get into the freezer! 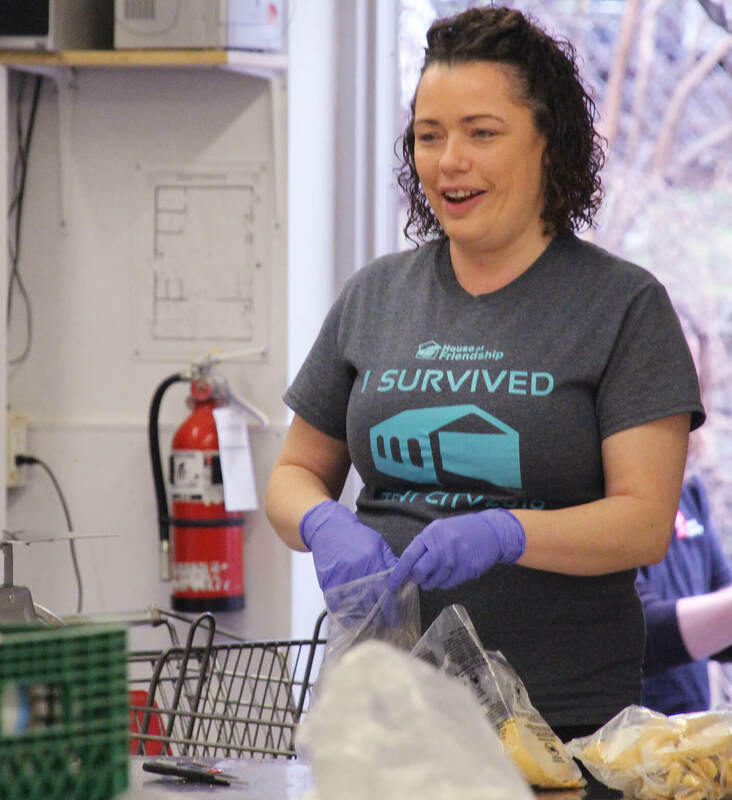 According to Matthew Cooper, program coordinator, 9,000 households comprising upwards of 20,000 people pick up food at the Guelph Street centre at least once a year. Every neighbourhood in the region has a household that picks up food. Areas of less-expensive housing have more needy individuals and families. Like Edmonton, the Kitchener centre was to be a short-term solution to an emergency situation and not part of the social framework. But 40 percent of the current users are perpetually marginalized people—many of them older, lacking training for the new economy, stuck with stagnant wages that do not provide enough to live on, working low-paying service jobs, or those who often work multiple part-time jobs. Upwards of 25 percent are single-parent, sole-support families, while nearly 15 percent are families with children, and the rest are families without children. These people have to make decisions between paying the rent or utilities and buying food. They are often the working poor who don’t make enough, even with two people working full time at minimum wage, to make ends meet. According to Cooper, food banks “take good will to help others—neighbours—but make the struggle for food and hunger invisible” in Canadian communities. “People don’t come because their food disappeared,” he says, but because they lack it.